Thanks to all of you who have submitted your pictures taken during the march and demonstration held in London last weekend. We have now added a slideshow of your images below and you can move through them by using the navigation buttons at the bottom of the picture and there is even a full-screen mode available. 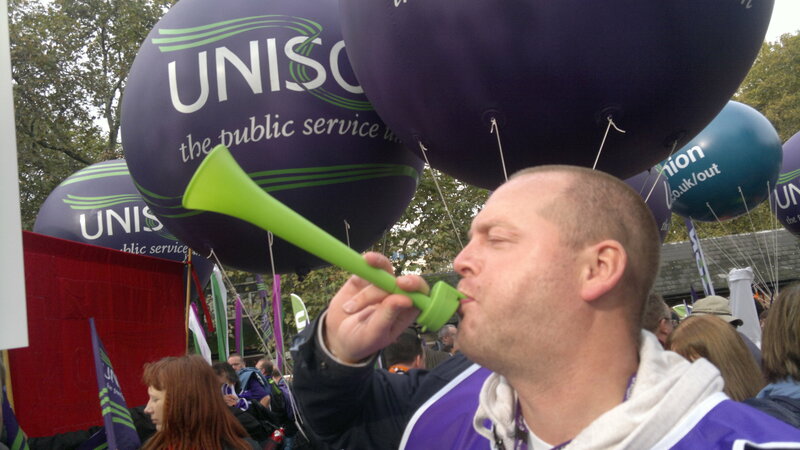 If there are any other members that would like to see their pictures of the day published on-line then please send them through to unison@manchester.gov.uk but don’t forget to leave your name so we can credit you in the description!